Trying to snack better, but frustrated with how much more healthy snacks seem to cost? Then, you need to check out these cheap and healthy snack ideas. They're loaded with the nutrients you need to stay sharp, energized and trim. Always get a case of the munchies in the afternoon, or maybe while you're watching TV at night? Keep a bag of popcorn kernels on hand for popcorn. If you use an air popper, you don't even have to use oil. 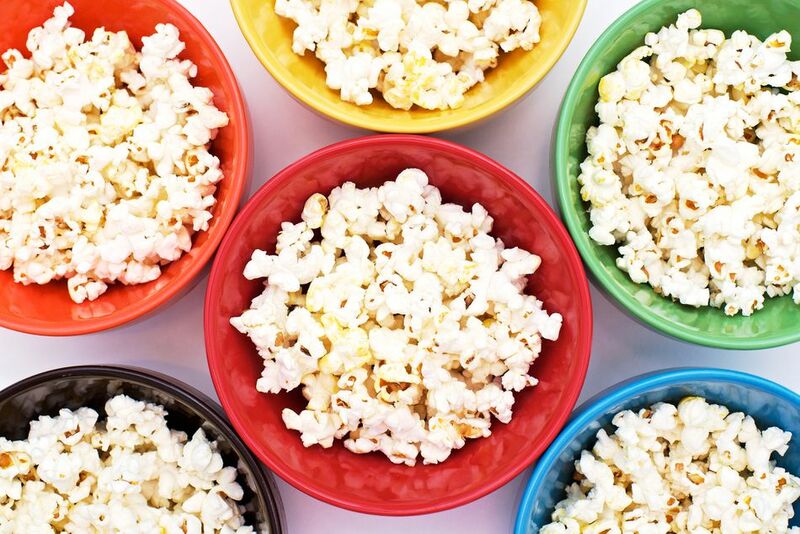 According to The Popcorn Board, a five-cup serving of popcorn provides 70 percent of your whole grains for the day, no cholesterol and only 100-150 calories. And the cost per serving? A mere 11 cents. Can't argue with that. Store-bought muffins are usually loaded with carbs and sugar, but if you make your own, you can load them with whole grains and other good-for-you ingredients. Add pumpkin, berries or dried fruit to ramp up the vitamin content. Sprinkle in seeds, nuts and grains for an extra dose of fiber and protein. Use applesauce in place of cooking oil, to cut the fat. If you put the right things into your muffins, they'll be the perfect snack to keep you feeling full and fueled between meals. Savings Tip: Hit the grocery bulk bins for the best deal on all your muffin add-ins. Load up on whole-grain flour when it goes on sale; then, freeze it to keep it fresh. Whip up a big batch of trail mix or party mix for an easy grab-and-go snack. If you pack it full of energy-rich ingredients, like nuts, seeds and dark chocolate, it'll be just the thing to keep you moving. Other good-for-you ingredients to include in your snack mix: toasted coconut, raisins, dried cranberries, banana chips, dried apricots, peanut butter chips and whole grain cereal. Enjoy veggies and dip, but not all the saturated fat that comes with it? Just use low or no-fat Greek yogurt in place of the sour cream called for in your dip recipe, and you have a snack you can feel good about. Another option: hummus. This bean-based dip is packed with protein and minerals, and it's low cal. While store-bought hummus can be kind of pricey (around $4 a container), you can make your own for less than half that. Start with dried chickpeas, instead of canned, for the biggest savings. Need a healthy snack for those time you find yourself craving something sweet? Try homemade popsicles. If you make them with fresh fruit and no-sugar-added juice, you'll avoid all the artificial sweeteners and colors that are lurking in commercial versions. Here's an easy recipe for strawberry popsicles. A cup of Greek yogurt contains as much as 22 grams of protein, so it'll keep you feeling full for hours. Choose a plain, no or low-fat variety to keep your sugar and fat intake down. Then, add honey and fresh fruit for flavor. At around $1 to $1.25 per serving (plus the cost of add-ins), this is cheaper than a soda and candy bar from the office vending machine (and you won't feel any guilt afterwards). Granola bars are marketed as being healthy, but some contain as much as 16 grams of sugar per bar. That's like drinking half a can of soda! Save yourself the empty calories and the high price tag by making your own. This will allow you to control the sugar content, as well as everything else that goes into them. Use honey or maple syrup, instead of corn syrup. Then, pile on the nuts, seeds, dried fruits, chocolate and spices, until you arrive at a flavor combination that tempts your taste buds.